Over/Under: Under 155.5 at 1.90 Bet Now! This is a matchup between two teams who are no strangers to each other in the Euroleague. 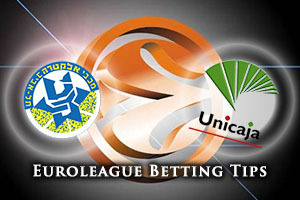 As for the games in Israel, the hosts have a slim 5-4 lead in the record and Unicaja last won in Tel Aviv in the 2012/13 campaign. That was a narrow 62-64 win but the same margin would be received with great joy and pleasure from the Malaga fan-base. The game sees two players facing their former team. Vitor Faverani plays for the hosts and will welcome his former Malaga team-mates to Tel Aviv while Richard Hendrix will be returning to the place where he played between 2010 and 2012. Maccabi will be looking for Taylor Rochestie to maintain his excellent form in this game. He was the 2015 Ford Trophy winner after picking up 18.9 points per game and his record of achieving double figures in his last 22 Euroleague outings is extremely impressive. Maccabi have also bene boosted by Brian Randle grabbing a minimum of 10 points in the performance index rating in his last 8 Euroleague games. While there will be a lot of focus on the return of Richard Hendrix to Maccabi, it should be noted that he is in a fine run of form. In his last 7 Euroleague games, he has achieved a performance index rating of at least 10. He will be a big player on Thursday night, alongside Fran Vasquez who has managed to block at least 1 shot in his last 7 games. Of course, this is the sort of return you would expect from the career leader for shots blocked in the Euroleague. It’ll be tough for Malaga but they have the players to steal this game. 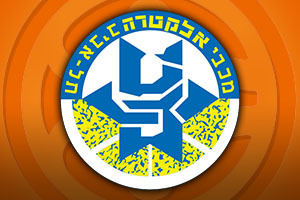 The hosts are favourites and you can find Maccabi FOX Tel Aviv with a handicap of -5, at odds of 1.90 and they should be able to win with a bit to spare. If you are more interested in the Over/Under market, you should look to go UNDER 155.5 which is also available at odds of 1.90. Bet Now!